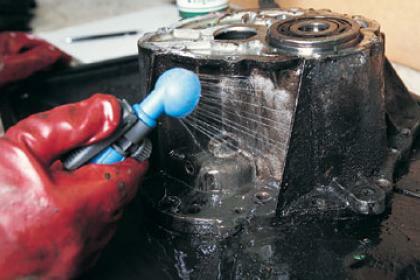 OIL OFF Extreme is an industrial strength biodegradable degreaser. This Biodegradable Degreaser is safe for use on all types of surfaces: wood, glass, metal, plastic, etc. What’s even better, OIL OFF Extreme will not craze plastics or other synthetic surfaces. 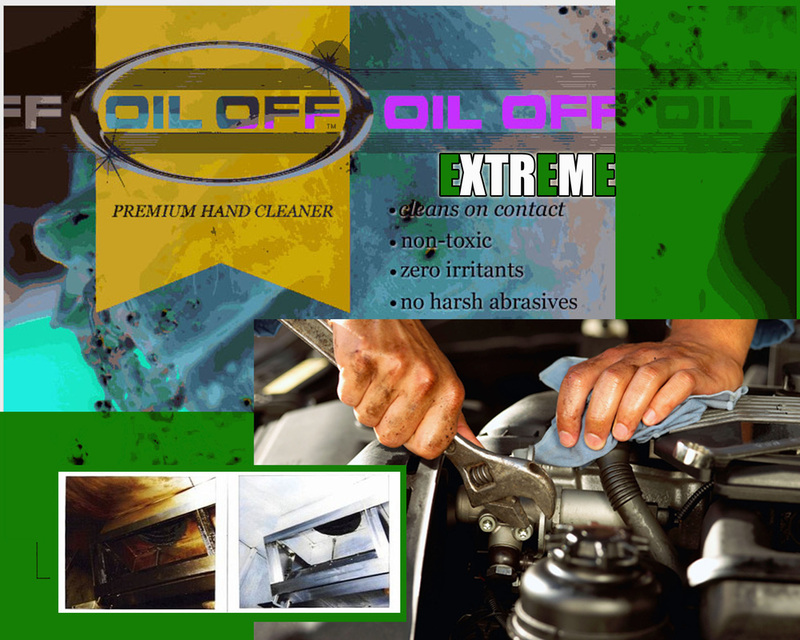 OIL OFF Extremeconsists of biodegradable anionic and non ionic surfactants (soil penetrating agents), pine tree resin based amine soap (grease and oil emulsifying agent), chelating and sequestering agents (holds hard water metal ions in suspension so they will rinse off the surface and buffers the pH), and inorganic builders (pH elevating to assist in the emulsification of grease and oil). Put simply OIL OFF Extreme stands superior to our competitors due to its ingredients. Most of our competitors (multi-purpose cleaner/degreasers) have only a fraction of the activity our formula has. Most usually have between 2 & 7% active ingredients. OIL OFF EXTREME has a little over 60%. Also important is the combination of ingredients. The surfactant combination we use in OIL OFF EXTREME results in a synergistic reaction that makes the effect of the sum greater than its total parts. Rather than just combining various surfactants designed to perform different tasks, the OIL OFF EXTREME formulation ingredients actually produce a chemical reaction during formulation that results in more powerful cleaning than the individual ingredients would if not combined in our proprietary process.